What if we were to re imagine the way research driven design exhibitions are curated and managed? For the LCC Postgraduate Show 2018, the students of the class 2018 Design Management and Cultures, with the help of exhibition designer and architect Irene Martin put together a show that sought to create a theme and design language for the multi faceted designers, researchers, strategists. I was part of the concept team that helped translate the idea of the logo into the actual manifestation within the space. The logo was created by one of our classmates and art director Nicola Acquisto. The different teams were Concept, Branding, PR and Comms and ‘Getting Things done’. A large part of what the concept team was responsible for not only translating the logo, by way of mood boards, but also deciding what materials would be apt through a prototype. 1) Hanging the project posters from wooden frames with a negative space around it, giving it a light, suspended look. 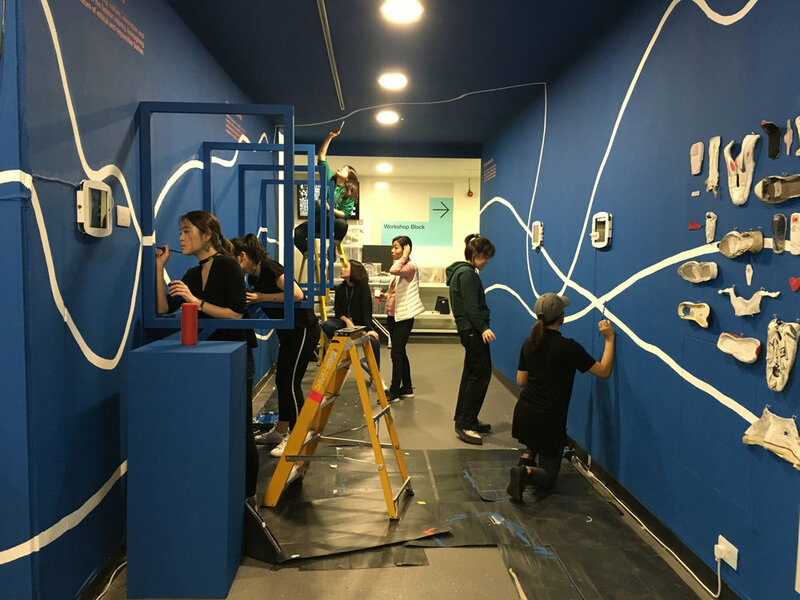 2) Painting the exhibition space with a primary colour (as decided by the branding team) and using white lines to create a juxtaposition. The next step was to prototype the material to be used for the wooden frames and the material to mount the posters on. After trying different materials like foam and honeycombe cardboard we went with the latter which was suspended by nylon thread from the wooden frames. The prototyping was done in the 3D workshop at London College of Communication. 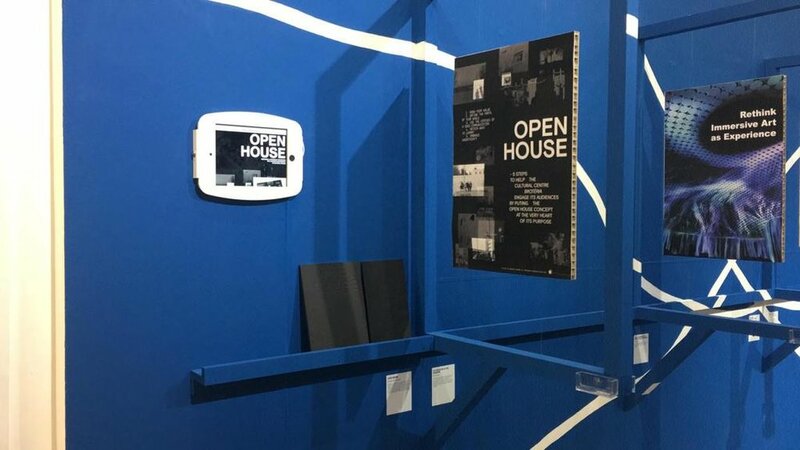 The final exhibition space where the frames were painted blue, attached to the wall and the posters were suspended with nylon wire.